Campaigners are more active than ever in Hampshire as the threat of fluoridation is coming to them faster than elsewhere - their local press is alive with reports and letters - and in a recent conversation with them we learn they hope to attend both their PCT Board on 27th March in Aldershot and their South Central SHA Board which also meets on 27th March but in Newbury. I continue to be amazed at the one sided way that those in authority like Alan Johnson, the Health Secretary, puts the evidence on water fluoridation. He says that the poorest people suffer the worst tooth decay. Well we know tooth decay is caused by a bad diet and poor cleaning of teeth. So help fix that with targeted education and help for the poorest to put that right. Do not put the class 2 poison fluorine in the drinking water. In fact the West Midlands are pretty good at dental education, which I suggest is a much more important factor in any improved dental performance. However it does cost money. Wolverhampton’s expenditure on dental health more than doubled in the five years following water fluoridation. Alan Johnson quotes Birmingham as a good example of the effects of fluoridation. Well he actually knows that the best areas for tooth health in the UK are not fluoridated at all, and this general situation applies in every country around the world. In fact non-fluoridated Hampshire is also one of the best areas in England. OK there are some worse spots in the cities, but use education to deal with it, not mass medication with a highly dangerous product. And he should not misrepresent the findings of the York 2000 review. In fact the review said that there was no reliable proof showing any clear benefits for fluoridation. Some say that the early scientific data on fluoridation was gerrymandered. For instance an early finding that there were fewer tooth cavities in fluoride factory workers ignored the fact that they had significantly fewer teeth – fluoride may have weakened the tooth sockets so their teeth fell out completely. However this argument is not really about teeth. It is about the effect of fluoride on the rest of the body. It is simply not true to claim that there is no scientific evidence of serious health side effects linked to fluoride as there is a mountain of peer-reviewed evidence of links to cancers, brittle bones, joint stiffness, dementia and hormonal disruption. The National Academy of Sciences in the USA recognised this in 2006. Also have our officials not read the many European studies? Denmark banned water fluoridation in 1964. Finland and Germany trialled fluoridation and rejected it. The Netherlands, Sweden, and even China have banned water fluoridation. Nearly every other European country refuses to fluoridate their water for very good scientific reasons. 97% of Europeans have fluoride free drinking water (thank goodness). Are the government saying that foreign scientists are wrong? Even medical experts who initially assumed that fluoride was a ‘good thing’, when they look into it themselves they often become vehement opponents (e.g.Dr. Charles Gordon Heyd, Past President of the American Medical Association andDr Hardy Limeback, Biochemist and Professor of Preventative Dentistry, University of Toronto). Opposition to water fluoridation is not a minority opinion worldwide, in fact most countries have a strong scientific majority opposed to it. 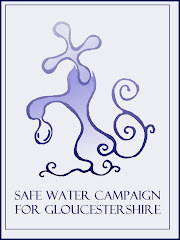 Over 1400 professionals have signed a call for the immediate stop to water fluoridation. Even the Dental authorities in the USA say that child feed bottles should not use fluoridated water. Fluoride in water can be devastating for those with kidney problems, hypersensitive or allergic reactions, and for many young children (especially if they have fluoridated toothpaste which they tend to eat). Fluoride also accumulates in the body over the years so the elderly show many signs of related health problems. Finally it is not true to imply because a few areas (very few) have natural fluoride in their water then it is OK. They may also have arsenic, it is still not safe. Some villages in China have been moved because of fluoride contamination of their natural water supply. Once it is in the water ordinary filters will not remove it, you have to buy very expensive reverse osmosis. So if fluoride is added to the water, few will be able to remove it. It is forced medication of the population. This is expressly forbidden by the Convention on Human Rights and Biomedicine, so anyone pushing water fluoridation is breaking medical ethics and should not only be ashamed but struck off. Fluoridating with an uncontrolled dosage, ignoring individual health problems, is especially dangerous. This is the sort of thing that undermines trust in the government and the Health Authorities. When they say that something is safe we should be able to believe them. Well if you study the research you find the truth is the very opposite. Fluoride is NOT safe and should NEVER be added to our drinking water.